The purpose of this article is to show you how you may have fallen foul of Google's latest Panda algorithm updates. (Published 25/10/2011). The wrath of the Panda is still hitting websites from all the current iterations of its offspring. It seems like Google are getting stricter and sticker with their quality guidelines and are looking for “absolute quality” from ALL websites listed in its index. If you are currently a bit ashamed of your website or its content is extremely thin, then be worried. If you are sitting pretty in the SERPs at the moment, Panda 2.6 may just put an end to that! Below are some reasons to why your website may have been panned by Panda. Lots of duplicate on page content or content scrapped from other people’s websites. Pages on your website that are all the same but with just the main keyword changed. These are known as cookie cutters and are a big “NO NO”. Poor quality pages with a few hundred words that don’t really say anything or add anything that you did not already know or learn from a previous page in the site. These pages probably go after a different keyword just to bring traffic into the site. Thin affiliate sites that have nothing more than product feeds from publishers’ websites promoting their goods. The first 4 examples above are indicative of a person creating a Wordpress blog, creating a template page, adding a new feed per page and just changing the product name to match the incoming feed. These types of sites are there to make the user money from affiliates schemes and quite possibly ads galore all over the site. Pre Panda, you would be dominating the SERPs with these sites that are adding very little in the terms of new content, originality and quality. The Panda’s mission is to now come along and steal your bamboo, and push you unremorsefully to the ground. In a way you can kind of agree with Google’s thinking behind this Panda algorithm update but some sites that have fallen by the wayside a little are also being hit hard. Poor visual quality of pages that look automatically generated and made for search engines, not humans. Irrelevant content that has nothing to do with your website’s theme. Multiple websites all doing, saying, selling the same thing but with a slight spin, trying to own the SERPs. Sites that you own all linking to each other. This maybe legitimate if cross selling, but could look spammy. Buying or selling links. Reciprocal links won’t do you any favours; neither will 1000 submission directory links overnight for $10 or a link alongside 500 links in someone’s blogroll. Really poor spelling and grammar on pages, no quality control. Very slow page load times. These give signs of large pages that are quite possible nothing but spammy comments lists on pages that are built for search engines. If your pages are taking 10 seconds to load then the chances are that their file sizes may be excessive too. Up until now you did not have a problem, but now you do and you’re probably in violation of Google’s guidelines. These are all laid out here for consumption. So, your first few linear steps to complete Panda gratification start here. First of all, visit Google’s guidelines page above, write them all in a spreadsheet and tick off any that you feel you don’t adhere to. Now, draw your website on a piece of paper. Start with the homepage, and then draw boxes for the key sub sections below the homepage and then jot down the pages in those sections. 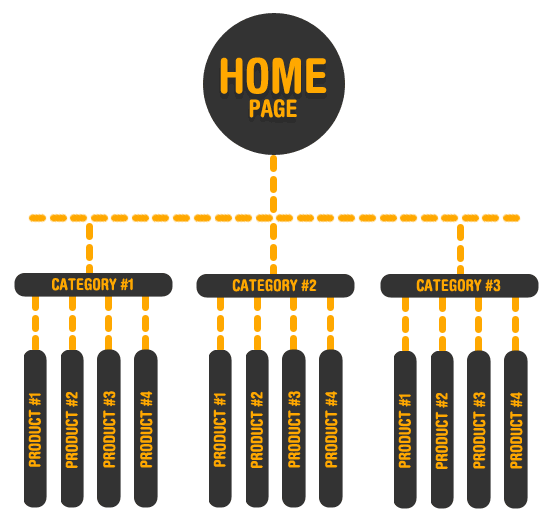 If your site is huge then just do the first 2 levels. These pages are the windows into your site and need to be clean with one aim or keyword term (with variants) per page. Now, look at your guidelines spreadsheet and see if your web pages are breaking any rules. All the content below your homepage and sub sections below needs to be unique, written for human consumption and have a unique purpose to exist. Look for pages that maybe duplicate and get rid of them, 301 redirect them to the correct landing page if necessary. SEOmoz tools are great for finding duplicate content. If you have really spammy pages that have no value, remove them, rinse and repeat for any other pages that a customer would not need. This in turn will increase the quality score of your site. If you are selling 10 unique products, you only need 10 pages. If you need multiple pages per product then "no index" the subsequent pages that are related to this product. You only want 1 page ranking for the product’s keyword term. By now you will know if your site needs a major overhaul. Use Google Analytics to tell you which pages don’t seem to get any love from anyone and start again with them. Once you have a streamlined site that is on topic and aimed purely at the customer, do the following. Ensure that you have a unique meta titles and meta descriptions that aren’t stuffed with keywords on each page. Ditch the Keywords tag, Google don’t use it and Bing only use it to catch spammers. Use 1 H1, 1 H2 and various other H tags to describe the sections of the page. All copy on the page should add value to what you are offering, don’t write the same thing over and over again just to get more keywords in. Make sure you pages are loading within a reasonable amount of time. 2-5 seconds should be OK, many pages do get a drop in rankings if they are too unresponsive though. If you have any external links to pages from bad neighbourhoods or ones from sites unrelated to your site, get rid of them. Reconsideration requests can be made below. Create yourself a Google Reader account and add all the SEO news feeds below into it. The beauty of Google Reader is that you can view it at home, at work or even on a mobile device on a train. You will always have your news with you and stay 100% on top of new SEO developments.